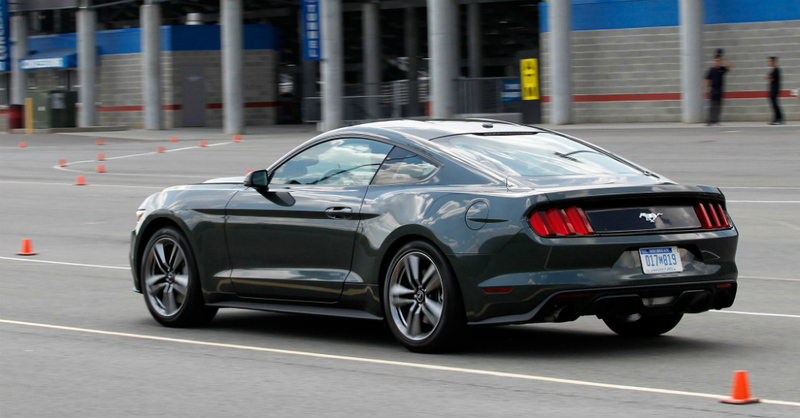 Even though the top of the line GT is always going to be the gold standard and show off with is muscular V8 engine that offers a roar and a pull that will plant you in the front seat with your face plastered in a permanent smile the four-cylinder EcoBoost Mustang has a lot to love. In previous years the four-cylinder was easily discernible from the GT and everyone who saw your Mustang would know you were driving one that was somewhat less than desirable. That is no longer the case, in fact now the simple reality is only a few features give the two a different look from the outside, making this one of the most attractive sub-GT versions of the Mustang ever. Not only does an EcoBoost powered Mustang show off with great stylings and features that make it attractive to just about any Pony Car lover, (except those who must have the GT), but this version is a lot of fun to drive. With a smaller engine and an easy shift throw the EcoBoost makes driving and moving through the gears a smooth and fun transition which allows you to feel in full control of the car.